Stunning home, beautiful craftsmanship,& gorgeous views from every angle. This serene park like setting, plush greenery & freshwater creek that runs through the backside of the property gives one the true feeling of calmness & serenity. 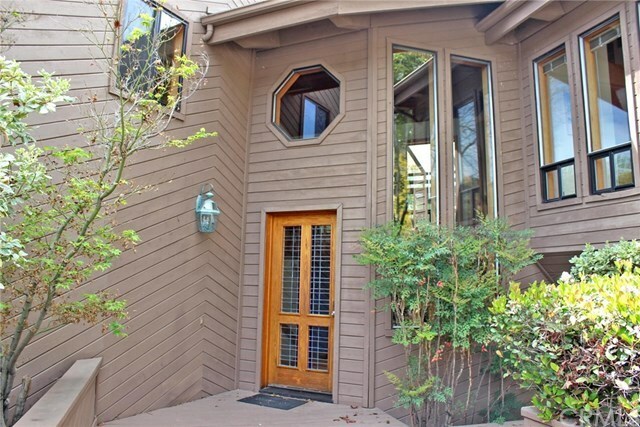 Multi-level, spacious 4bd/4ba, + loft, over 3300 sq.ft. is located at the end of a cul-de-sac & lends itself well for entertaining guests or just relaxing with the family. The open floor plan & the magnificent picturesque windows allow for the natural sunlight to shine through. Donât get lost in the gourmet kitchen. There is an abundant amount of counter/storage space. The generous sized dining & living rooms boast beautiful cathedral wood beam ceilings,& donât miss relaxing in the cozy sun-room. There are 2 master suites, one features a walk-in closet & spa like bathroom with soaking tub & large shower.The other rooms are ample sized & very comfortable. The den/loft area can be used as an office, home gym or an extra bedroom. There is also a 2 car garage with washer/dryer hook ups. The backyard is a wonderland, sit on the deck, read a book & enjoy the spacious yard. This is a fabulous opportunity to live in one of the most desirable areas in San Luis Obispo, not to mention it is close to the quaint downtown area, shopping, hiking, prestigious wineries & blue ribbon awarded schools. SELLER IS IN THE PROCESS OF REPLACING ALL DECKING WITH A BEAUTIFUL,CONTEMPORARY, COMPOSITE WOOD MATERIAL. Call and schedule an appointment today!